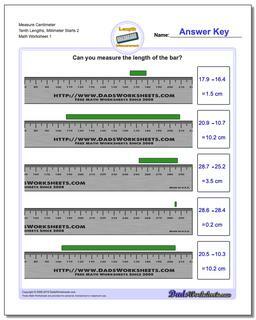 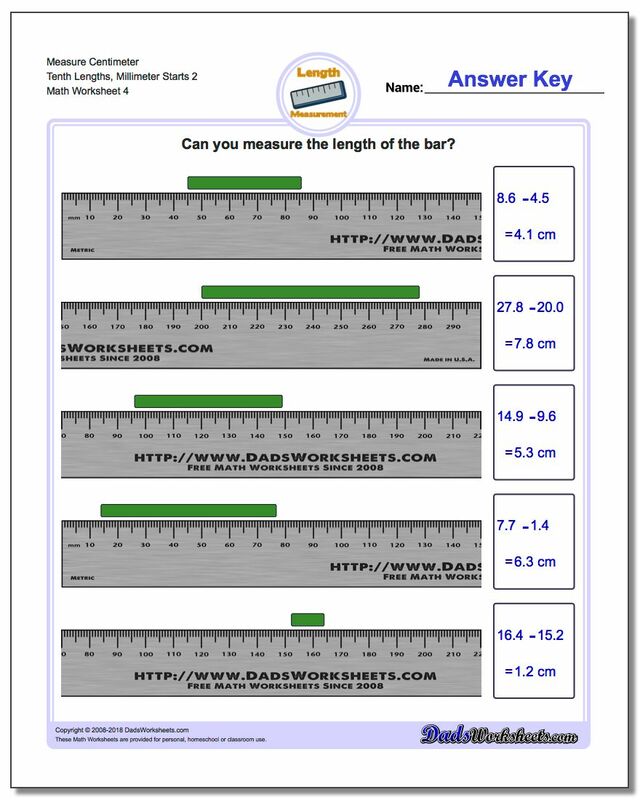 Measurement worksheets for measuring the length of an object that is placed at millimeter precision on a metric ruler. 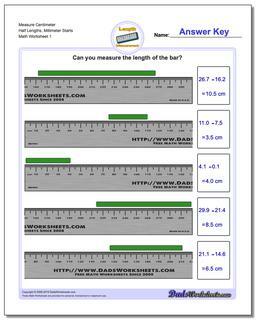 Measuring the length of something often requires us to look not only at the ending measurement, but a starting offset as well. 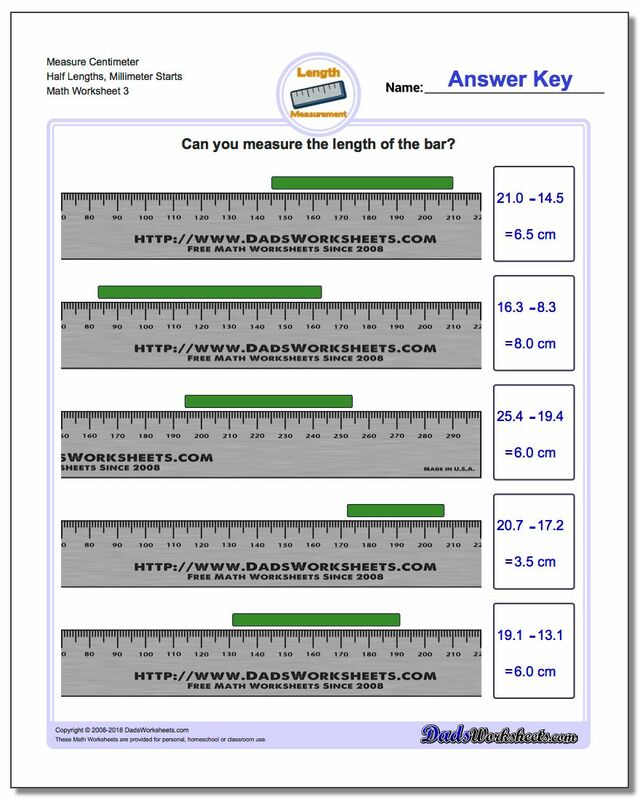 This is common in a lot of 'in-place' measurements, and it creates the opportunity to introduce subtraction and relative length as part of the measurement thinking process. 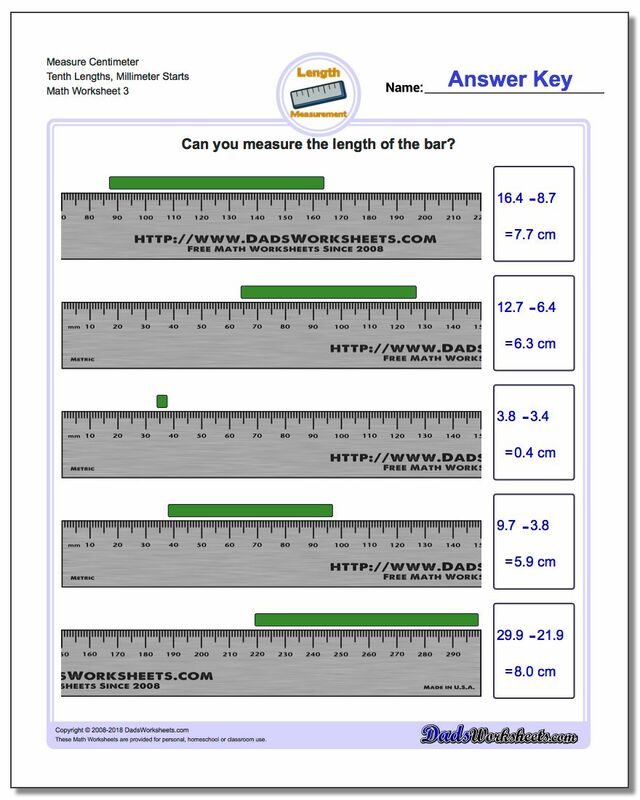 Students will find the total length of the object by looking at the ending measurement in millimeters and then subtracting the starting millimeter value. 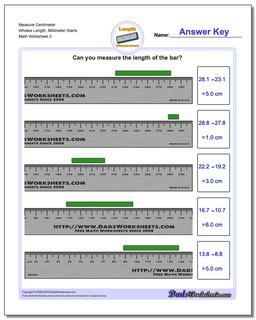 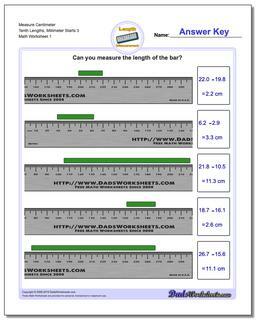 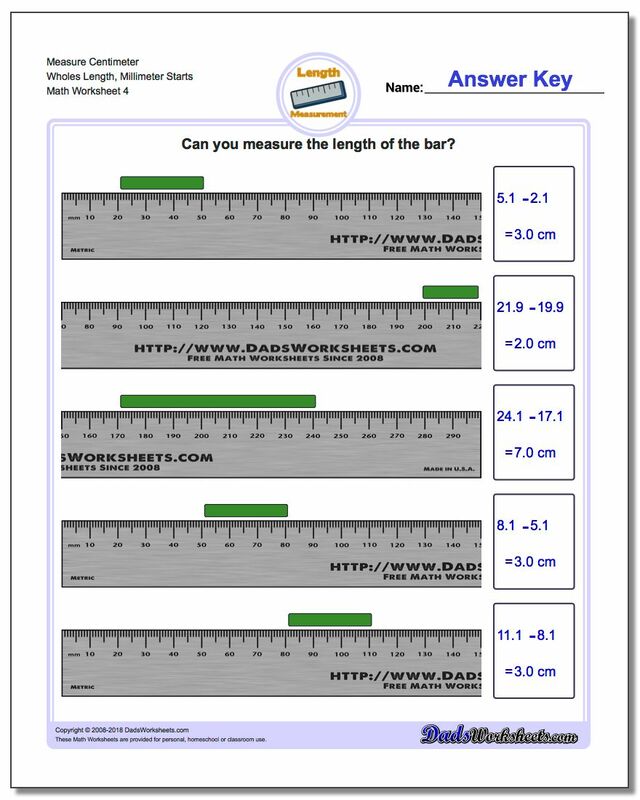 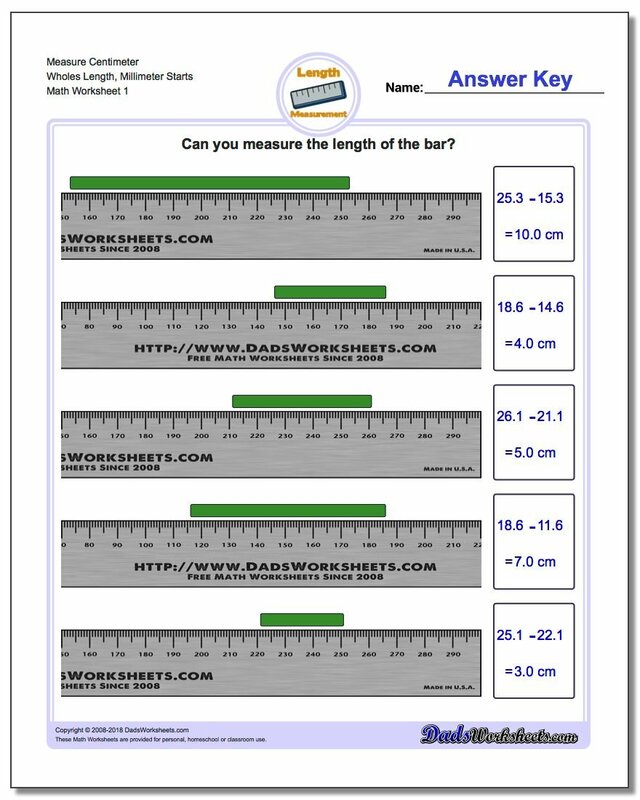 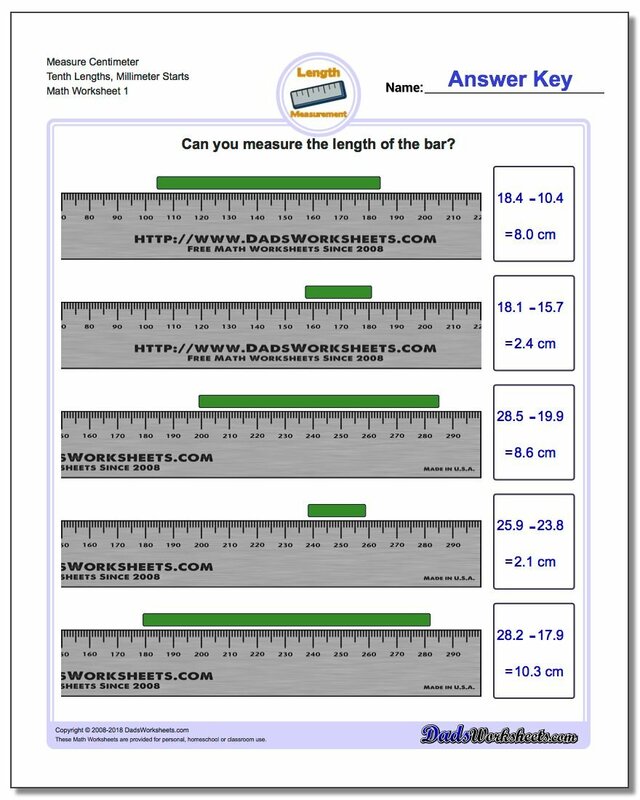 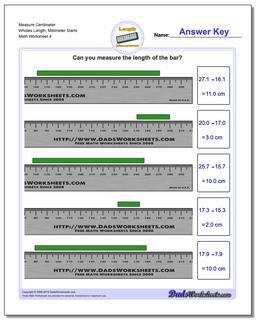 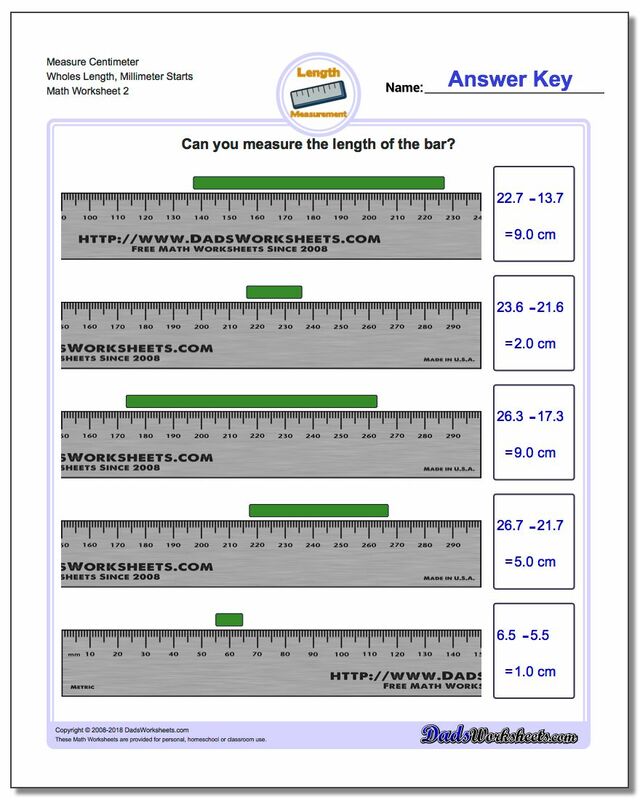 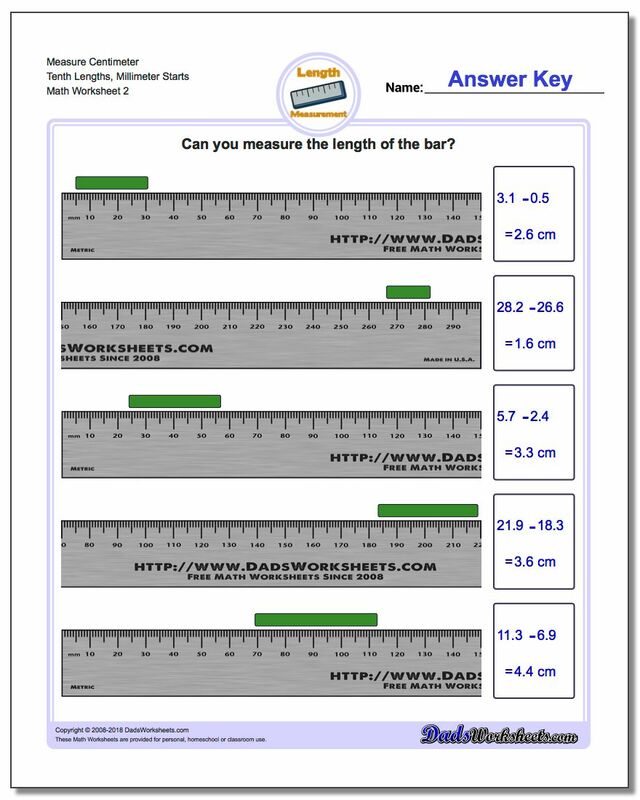 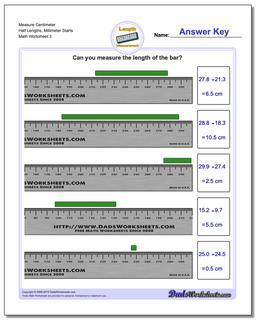 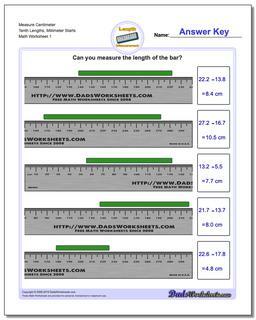 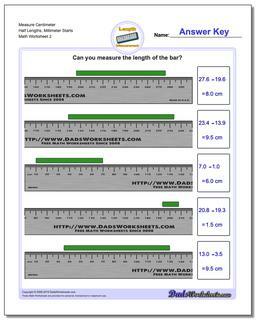 These worksheets all deal with measuring the relative length of an object in millimeters starting from a millimeter offset on the metric ruler. 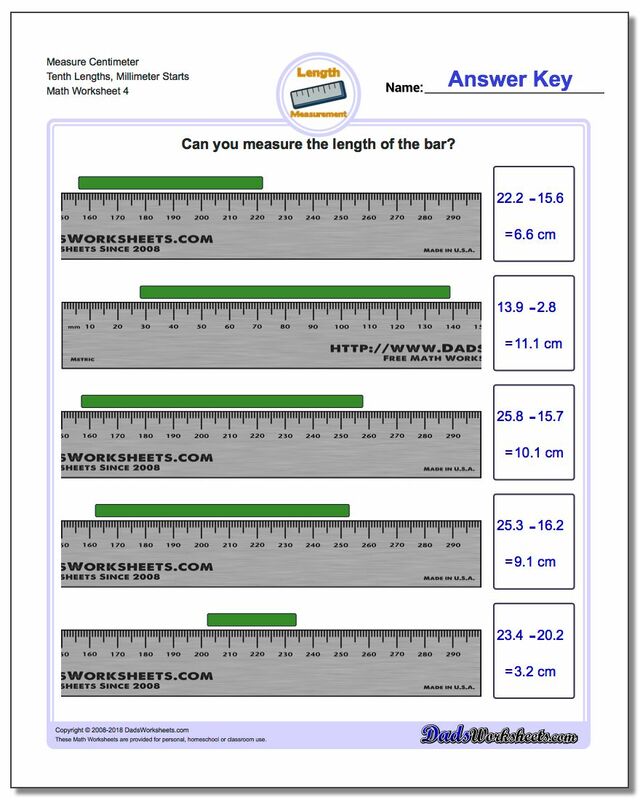 Because these units are always expressed as whole units, the subtraction problems necessary to determine the length may be slightly easier than the fractional centimeter measurements required on worksheets in the prior section.